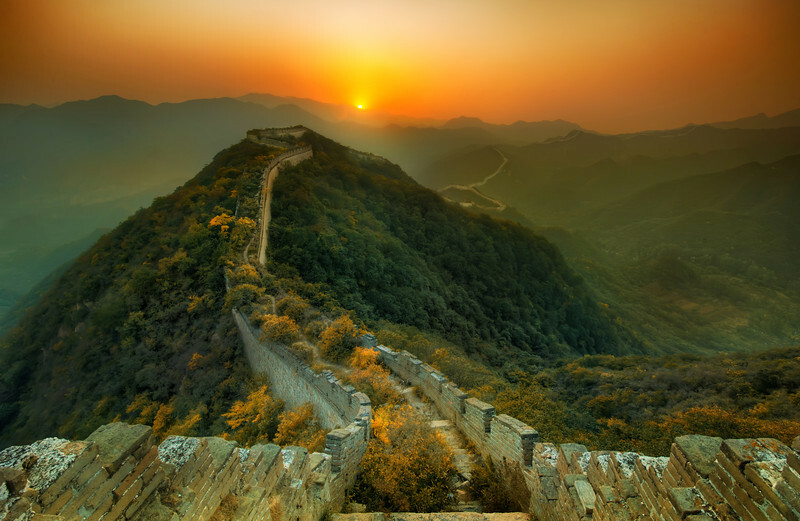 See Audio Caption - "an abandoned game trail in China"
Most of the photos you see of the Great Wall are from reconstructed bits. This is the actual part of the wall and it's amazing how nature is clawing it back under the earth. I walked along it for quite a long time towards the sunset. In many places, it was quite dangerous. I probably should not have been out here alone!